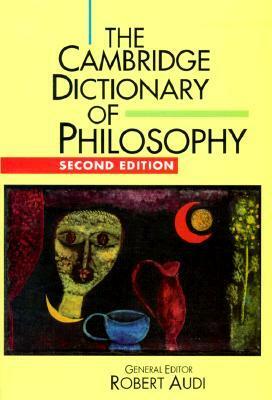 Find articles, ebooks and databases on philosophy. Browse resources on central philosophers, find internet philosophy treasures and learn about writing philosophy. EndNote has been purchased for the use of staff and students on the university's computers. Staff may also use EndNote on their computers at home. The installation media for the program can be found in the software distribution service in the software portal in the university network. Mendeley is a free reference manager and academic social network that can help you organize your research, collaborate with others online, and discover the latest research. More info at Mendeley website. Traditional metric tools disregard new types of scholarly communication. Altmetrics can be used to measure how scholarly articles are being shared, used and discussed in the social media and publisher sites. PlumX / University of Helsinki is an altmetric service that makes visible the impact of the publications by Helsinki University researchers. PlumX gathers the different kinds of metrics that are created when people interact with research output. Install the Altmetric Bookmarklet and get article level metrics of the papers you are reading. The Altmetric Explorer / University of Helsinki gathers data related to journal articles from news stories, blog posts, tweets, and postings related to scholarly articles and creates a score based on information from each of the data sources examined. How to gain alternative access to articles? The British National Bibliography (BNB) lists the books and new journal titles published or distributed in the United Kingdom and Ireland since 1950. The Brill Dictionary of Ancient Greek is the English translation of Franco Montanari’s Vocabolario della Lingua Greca. With 140,000 entries this is the most important modern dictionary for Ancient Greek and an invaluable tool for students and advanced scholars alike. Philosophical terminology database in Finnish - one can use it also in English to find Finnish equivalents. Select your favorite journals and search terms to create a personal 'river of science' front page loaded with latest articles and freshest information about the subjects you are interested in. Social networks for researchers make your research visible and help you to discover the latest research while collaborating with others. 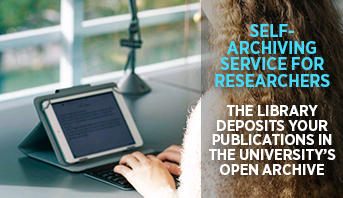 Search for journals by keywords or title words in Ulrichsweb. Read the detailed journal information. Publication forum is provided by Federation of Finnish Learned Societies. Search for journals, series, conferences and book publishers that have a Publication Forum rating. The classification has three levels: 1 = basic; 2 = leading; 3 = top. Other identified publication channels which have not received level 1 rating are marked with 0. If there is no marking, the publication channel in question is under evaluation, and yet without a rating. The Helsinki Centre for Intellectual History promotes the Research of Ideas across Disciplines, in- and outside Finland. It offers a communication platform for researchers from a wide array of disciplines, studying ideas from antiquity to the present day. The research seminar in logic is primarily intended for the presentation of original research in logic and philosophy of mathematics by junior and senior researchers and by international guests.